Size: 7.5Lx7.5Wx16H inches. Table Lamp. 60W Max. By Midwest-CBK Home Decor Lamps and Lighting Collection. Size: 13.75Dia x 27.5H inches. White Coral Table Lamp with Burlap Shade and Glass Base (UL-listed parts/includes harp and finial/holds standard 100w bulb) Compostion: Glass/Linen. Two's Company Fine Decorative Home Accents and Gifts. Size: 31 inches. Fluted Table Lamp. Composition: Fabric, Metal, Acrylc Resin. Mark Roberts Home Decor Lamps and Lighting Collection. Size: 27.5H inches. Gold Beaded Lamp. Composition: Mark Roberts Home Decor Lamps and Lighting Collection. Size: 24H inches. Acanthus Swirl Lamp. Composition: Fabric, Metal, Resin. Mark Roberts Home Decor Lamps and Lighting Collection. Size: 28.5H inches. Filigree Table Lamp. Composition: Fabric, Metal, Acrylic, Resin. Mark Roberts Home Decor Lamps and Lighting Collection. Size: 27.5H inches. Candlestick Lamp. Composition: Fabric, Metal, Resin. Mark Roberts Home Decor Lamps and Lighting Collection. Size: 26 inches. Filigree Side Lamp. Composition: Fabric, Metal, Acrylic, Resin. Mark Roberts Home Decor Lamps and Lighting Collection. Size: 30H inches. 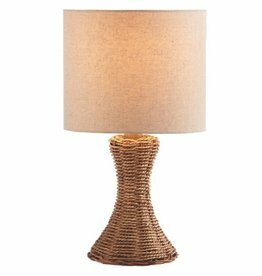 Villa Ribbed Lamp. Composition: Fabric, Metal, Resin. Mark Roberts Home Decor Lamps and Lighting Collection. Size: 27.5H inches. Modern Silver Droplet Lamp. Composition: Fabric, Metal, Glass. 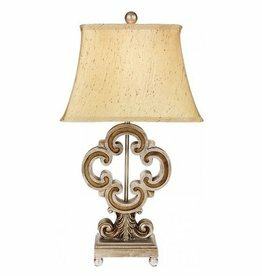 Mark Roberts Home Decor Lamps and Lighting Collection.